St Mary’s C of E (VA) Primary School were all detectives for the day when they had a visit from Enabling Enterprise. Their challenge was to solve a crime using lots of different teamwork skills to consider evidence and solve clues. 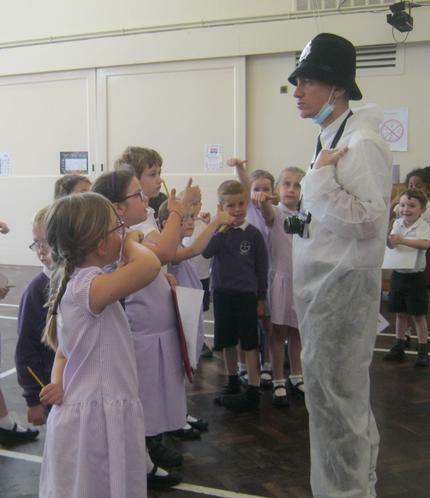 The school hall was cordoned off with police crime scene tape and pupils had their fingerprints taken in a bid to find the thief who had stolen all of the sweets and chocolates! As always, our visitors were very impressed at how engaged and responsive our children were.